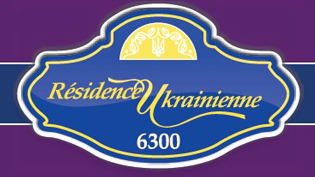 In a picturesque area of Rosemont Petite Patrie surrounded by beautiful greenery emerges two beautiful buildings: Ukrainian Residence located at 6300 – 8 avenue and The Ukrainian Villa at 6400 8th avenue between Beaubien and Bellechasse. These two establishments serve the Ukrainian Community and more importantly The Senior Citizens of that community for the past three decades. The both Residences are completely equipped to allow for a dignified lifestyle with a focus on feeling one is truly on vacation. The peace of mind of being amongst familiar surroundings is a considerable comfort and asset to the residents. A few blocks from the Residence and Villa is an amazing park where the Ukrainian Community still gathers. 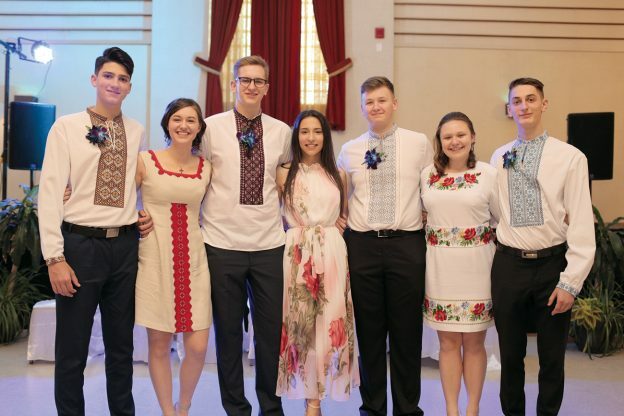 It is situated on the wonderful grounds belonging to St. Sophie`s Cathedral, where the annual Ukrainian festival takes place for the entire community. Naturally, this park bears the name Park of Ukraine. However, who is at the origins of these realizations? The Ukrainian magazine ”Together in Montreal” is fortunate today to meet its main contributor – Madame Renée LaRochelle-Chumak. Madame Chumak, you come from a French-Canadian family, but you have made a huge contribution to the Ukrainian Community. Please tell us how this all began? 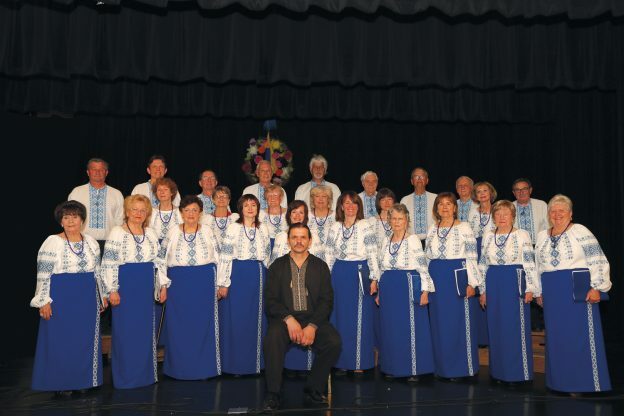 – The introduction into the Ukrainian Community started by being introduced to Mr. Ben (Bohdan) Chumak in 1957, who becomes my husband three years later. We got married in the beautiful Ukrainian Greek Catholic church «Assumption of the Blessed Virgin Mary» and since then i have adopted Ukraine in my heart. They have a saying in French «prend mari – prend pays». I was raised in a Catholic family and was implicated in the church community and it’s daily duties. Therefore there is no doubt as to my implications with the Ukrainian Community. Having a communications background I had many contacts in the fashion and political arena’s. In such, I wanted my experience to have an input in helping the Ukrainian Community. The first contacts I had with the Ukrainian Community were positive and engaging from many people. At this point I began organizing fashion shows implicating the ladies from the Ukrainian Parish, which became a huge success. After my initial fashion show is where I met Olga Wysoczanskyj who offered to help me by volunteering. With the formation of the Golden Age Club, «TRIDENT» I became the president for the following eight years. Many times during weekly events, half of the afternoons were informative (i.e. notaries, lawyers, medical, priests etc…) and the other half was bingo and coffee. After some time I realized the need in constructing a Residence for the aging population. By chance, I happened to be driving by one day and passed the offices of la Société Canadienne d’hypothèques et de Logement (SCHL.) This is a Federal government branch that loans funds in the construction of buildings. At that moment I realized that God was sending me a message and that is when I accepted my task. The assistant director asked what my credentials were in starting this project. My response was very honest «I have none, but I have the courage and determination». This response brought me to meeting with the General Assistant of the SCHL. The response was «We will get back to you». After some time my prayers were answered and the project became a reality. The negotiations with the federal government started in 1978, construction in 1980, and in 1983 the official inauguration was held with the presence of the Governor General of Canada «The Right Honorable Edward Schreyer» and Mrs. Lily Schreyer, Mgr. Isidore Borecky Ukrainian Catholic bishop, Jean Drapeau, mayor of Montreal many dignitaries and the RCMP from Ottawa. This was a huge event for the Ukrainian Community. The Ukrainian Residence will be celebrating its 35th anniversary next year (2018). Ten years later in 1991 the construction of the Ukrainian Villa begins…Mrs Jane Skodinsky becomes and continues to be the first Administrative Director after many years of support and volunteer work. This time you had the experience behind the Villa project? – Not really, I may have gained much experience in construction, but the Ukrainian Villa required special attention in terms of medical services as well, as food services. You give the impression that you love a challenge? – Yes, absolutely, as you can attest by my many tennis trophies. I grew up with my sisters and brothers going to Scouts and as a family we are very resourceful. Where does all your energy come from? – I think that it is having the fortune of good health, which gave me a lot of energy. Moderation at all times is the SECRET. Determination and perseverance is essential. I always stayed the course. It is said that our childhood determines who we become. What are your views? – We do not choose our family, I was extremely fortunate to grow up in a family of 5 brothers and 5 sisters. I was the last of the eleven siblings and the most spoiled. My parents always told us that Education and Culture and Good Manners will take you far into this world. I know that you fought to have Campbell Park renamed Parc de l’Ukraine. Thanks to you, Ukrainians today have a personal space to which they can connect to. How did you come up with this idea and why? -In the 1970’s there were almost 6000 Ukrainians in Rosemont alone. This park is part of the heart and soul of the Ukrainian Community. It was not easy to get the name realized but eventually became the Alma Mater of the Ukrainian Community in Rosemont. It is with much gratitude that I mention Mayor Jean Drapeau’s overwhelming support to the name of this park. You must have witnessed a parade of generations of Ukrainians. Have you noticed an evolution? – Absolutely, as with everything in time, things change and people change as well. The first generation of Ukrainians passed on a rich tradition which hopefully will be preserved by all future generations. If you could go back in time is there anything you would change? – I feel that I have accomplished my realizations starting with my parish and community dedication as a child which eventually lead me to the path I was destined to be on.